A man and his meat is a basic concept and in my man’s case it is much deserved. The tall one started his new gig today with the Gators Girls Prep as their Ceramics teacher. So the short one and I decided he deserved a special dinner as a thank you for providing for us. I am working on teaching gratitude and appreciation right now and while I am also working on banning all concepts of greed I did allow her to select her favorite for his special dinner. Steak. Pure and simple the girl loves the beef. I never cook it since I don’t eat it and I don’t like the smell. So technically this evening the tall one had to cook his own dinner out on the grill but it really was the thought that counts and my effort to head out to the local market and purchase said steak. 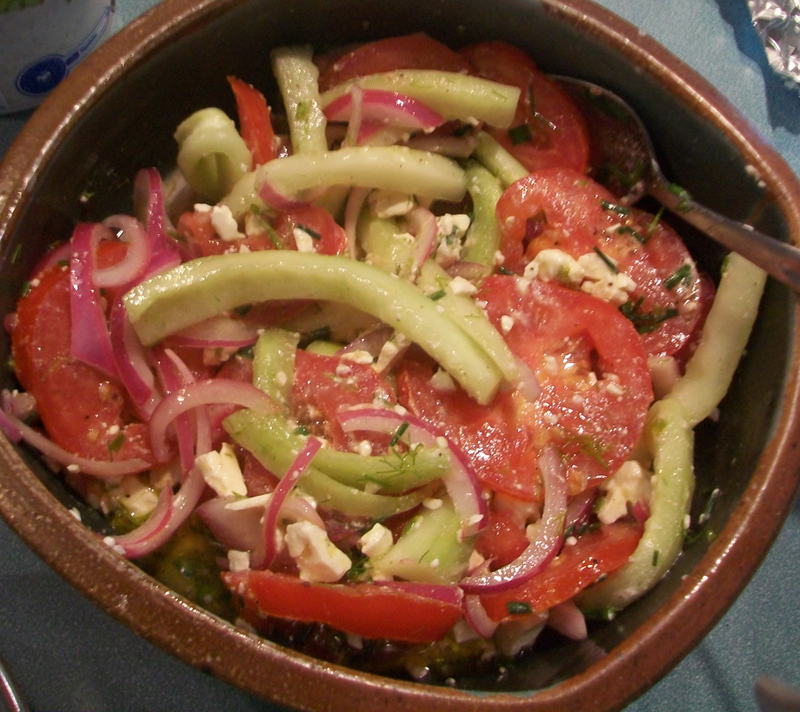 To make the experience more fun for me I pared it with a lovely watermelon relish and a cucumber/feta side salad. 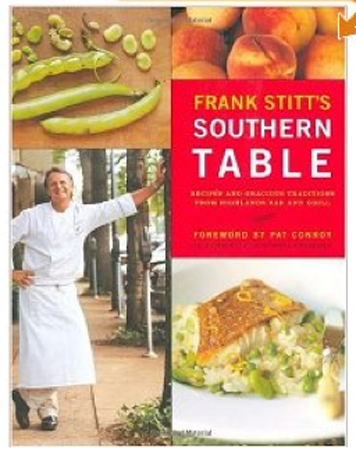 Both of which I found in a brand new cook book I recently received called Frank Stitt’s Southern Table: Recipes and Gracious Traditions from Highlands Bar and Grill. I love this cook book and it isn’t as fatty as it sounds. It is full of really fresh dishes. 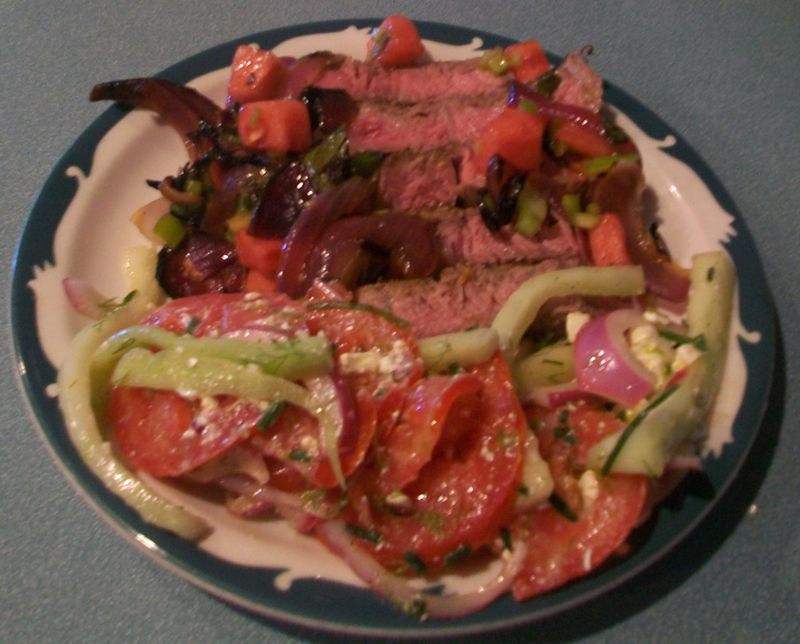 I ate the two sides and let me say yum – so happy! Plus there is enough left over for lunch. This entry was posted in inspiration and tagged food, love. Bookmark the permalink.